Kids love having different ways to learn. 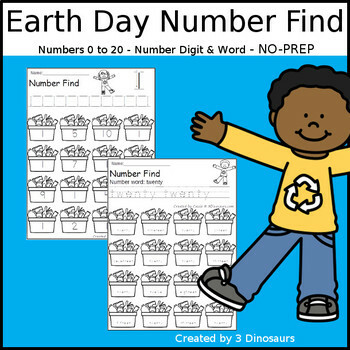 The Earth Day Themed Number Finds are great to get kids reviewing or learning their numbers with a fun recycling theme. Each page has a number you are working on. You can trace that number then dot or color the number on the recycle bin. Plus this is a No Prep printable. That means you can just print and use them. 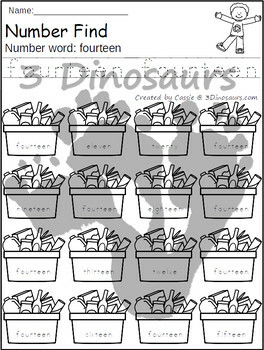 You can print the numbers that your students are working on. This set has both number digits and word options. 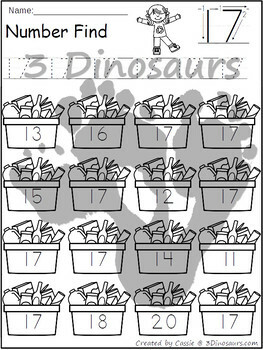 That means 42 pages of fun number activities for kids to do. It has numbers 0 to 20. You can check out samples of the pages in the preview.